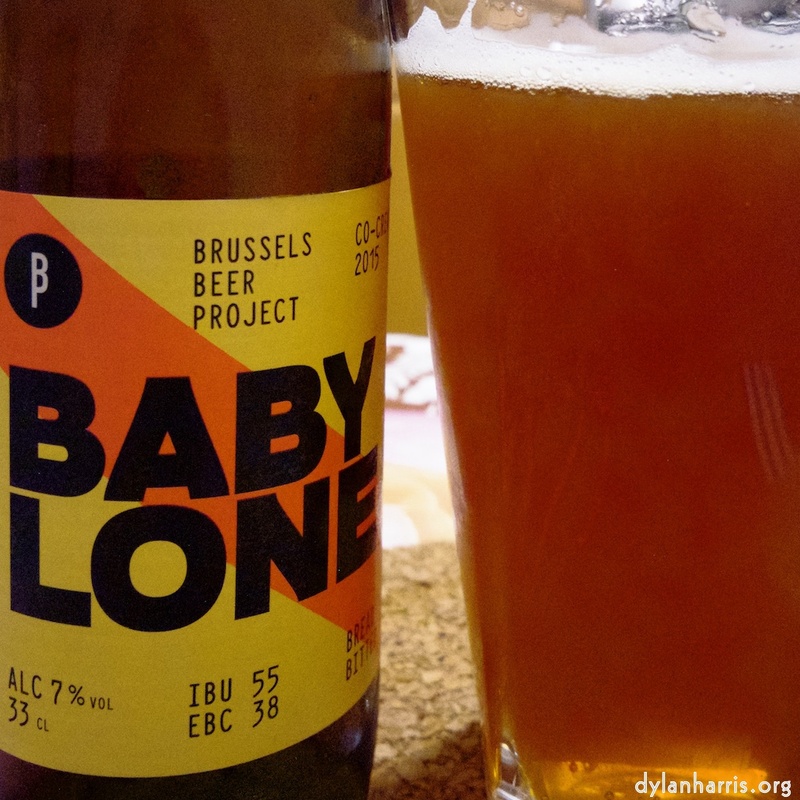 Brussels Beer Project’s Babylone is not a bad beer. I found in the local Delhaize supermarket, and bought it on the off–chance. My luck held. Despite being a bitter, it tastes like a modern Pale Ale. The flavour is well balanced, strong and not at all subtle. Then again, at 7%, nearly double that of the average British Pale Ale, the strength of flavour shouldn’t be unexpected. What’s odd, though, is that Babylone is not a Pale Ale, it’s a ‘bread bitter’—well, that’s what the brewer’s marketeers claim. They say the beer is brewed with recycled bread. I’ve never drunk bread beer before. I’m a bit worried about that recycled bread claim. To me, recycle means something is used as intended, then made into something else. I get the remade, this is beer, not bread, and I like it. I’m more worried about that first use of the bread. You see, I have this bizarre idea that when bread is used, it is eaten. Erm … is the result of the bread, once it is eaten, and eventually reappears, really used to make beer? I do hope not. On the presumption that the recycled bread claim is marketeers’ bad English, I’d drink this beer again.